Please Contact Us with inquiries and questions. Oil on Canvas, 27" x 36", Unsigned. 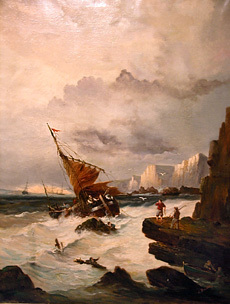 "Shipwreck" By Alfred Budsey (British), c. 1820. 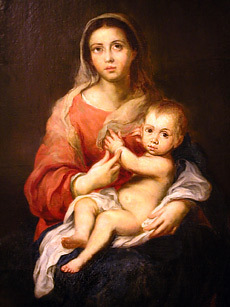 Oil on Canvas, 29" x 36.5", Signature; Original Frame. "House Under the Tree" By Bonnier (French), 1860. Oil on Canvas, 36" x 42", Signature; Original Frame. 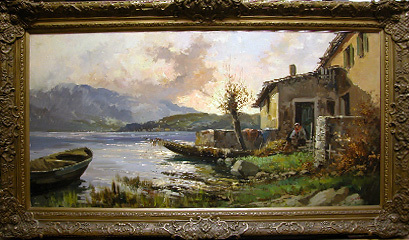 "Italian Land and Seascape" By A.L. Terni 1859-1914 (Dutch). 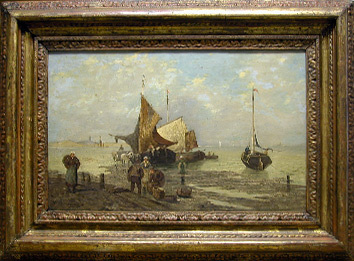 Oil on Canvas, 28.9" x 39.2", Signature; Original Frame. 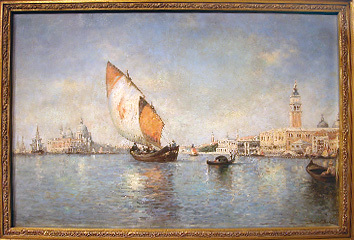 "Venice" By Gelibert Paul Jean Piere, 1802-1883. "Morning" By Giuseppe Cosenza (Italian), 1847-1922. 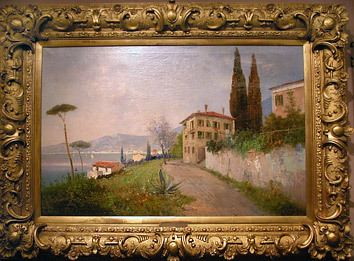 Oil on Canvas, 24" x 50", Signature: G.Cosenza (lower right corner); Original Frame. "Afternoon" By Giuseppe Cosenza (Italian), 1847-1922. "Norvegian Bjorn" By A.I. 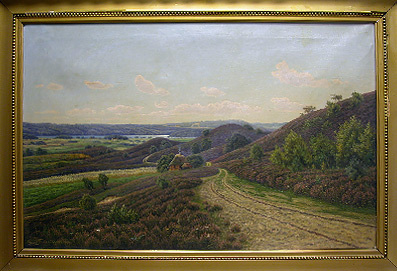 Oluistenson, 1889. Oil on Canvas, 29" x 23", Signature, Original Frame. "Spanish Woman" By Ferdinand Marinus Joseph Bernard, 1808-1890, Belgium. Watercolor on carton, 29" x 24", Signature, Original Frame. 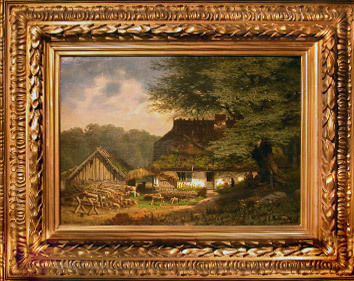 "Farm House" By Johann Gotthard von Müller (Germany 1747 - 1830). Oil on wood panel, 19.4" x 26.7", Signature. 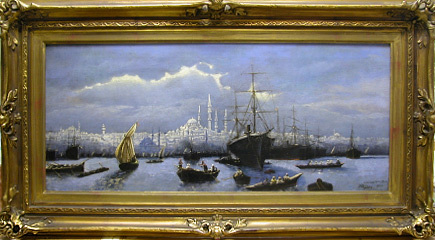 "Constantinople" By Roberto Menzies (Menzie, James), Dated: 1899. 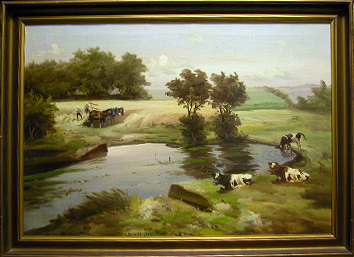 Oil on canvas, 21.3" x 35.6", Signature, Original frame. 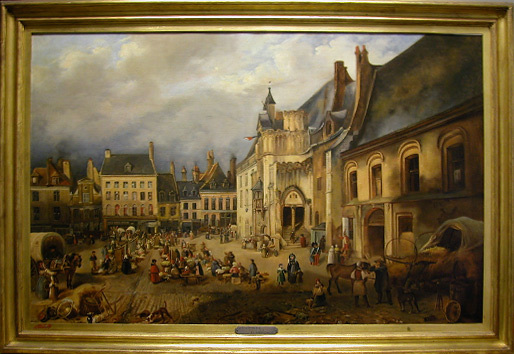 "Market in Strasbourg" By Pascal-Adolphe-Jean Dagnan-Bouveret 1852-1929(French). Oil on canvas, 35" x 52", Signature, Original frame. 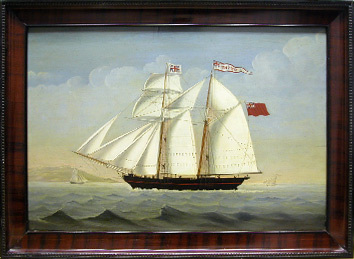 "Ship Portrait of the English Brig", Harriot, c.1800. Oil on wood board, 22.7" x 35.6", Period Frame. "Danish Landscape", Frederikson Erling 1852-1921 (Danish). 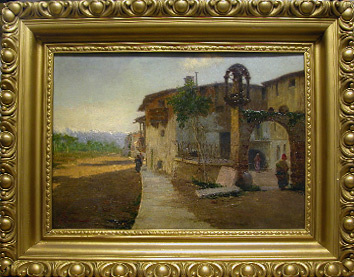 Oil on canvas, 33" x 44.5", Dated: 1916, Original frame. 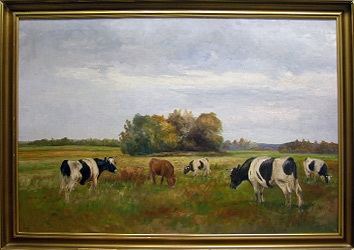 "Grazing Cows" by Mark Osman Curtis, 1879-1959 (Scottish). 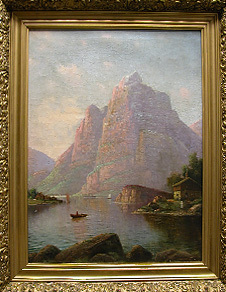 Oil on canvas, 40" x 30",Signature: V.Bitkholm, Frame. 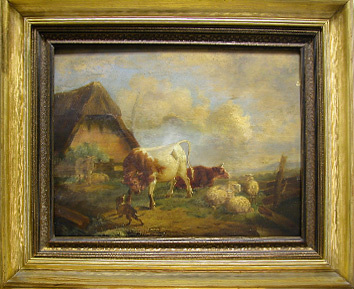 "Landscape With Cows" by Cristensen Godfred Polycarpus, 1845-1928 (Danish). Oil on canvas, 30" x 42.5", Signature, Frame. "Morning Fishermans Market" by Paul Cassani, 1832-1889 (Italian). 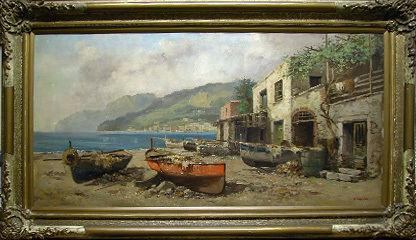 Oil on canvas, 36" x 27", Original frame, Signature. "Mountain Village" by Viscardo Carton, 1867-1926 (Italian). Oil on canvas, 28" x 36", Original frame, Signature. Copyright 2016 © Grashe Fine Art Restorers. 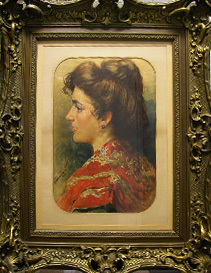 Fine Art Restoration and Conservation Services in Seattle, Bellevue and the Eastside.